I've added the pearls, and am almost ready to add the wire edging and cut this piece loose. I'll be working a lace edge around the piece to keep it feeling airy. 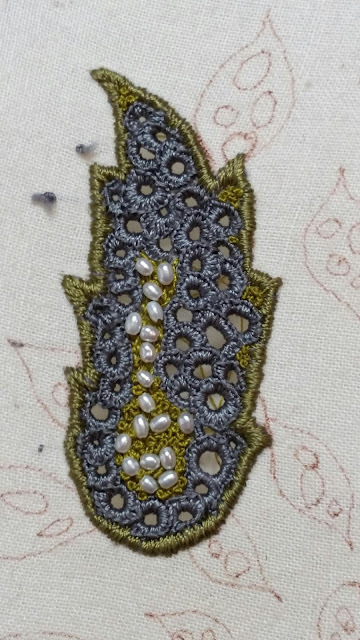 There may be pearls in the lace, I'm not sure until I start stitching. I'm very happy with the organic feel of the eyelets and french knots. I might need to make a big piece, like a necklace, on the same thought.